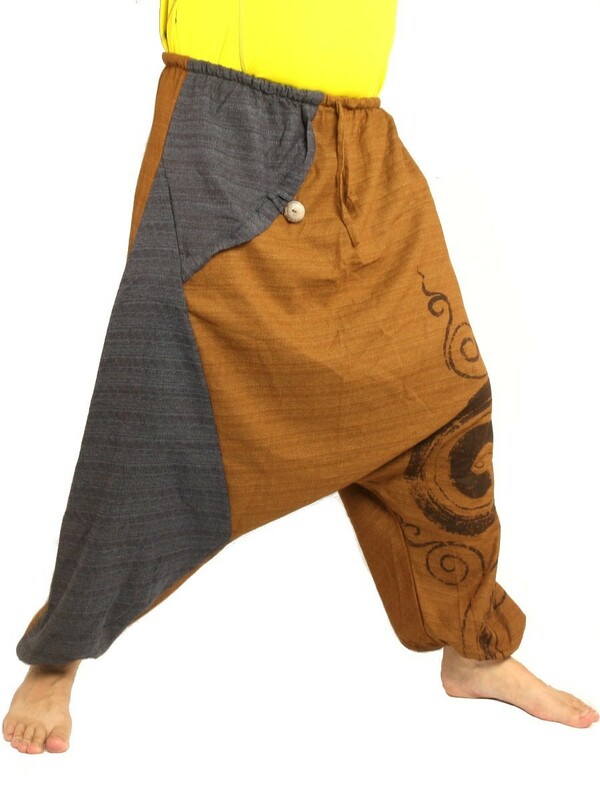 &#9989; Harem baggy aladdin genie pants with elasticated drawcord waist and ankles. Durable swirl print on left leg. ✅ Unisex pants for men and women. For orientation: Male model on photo is about 5 feet 11 tall. 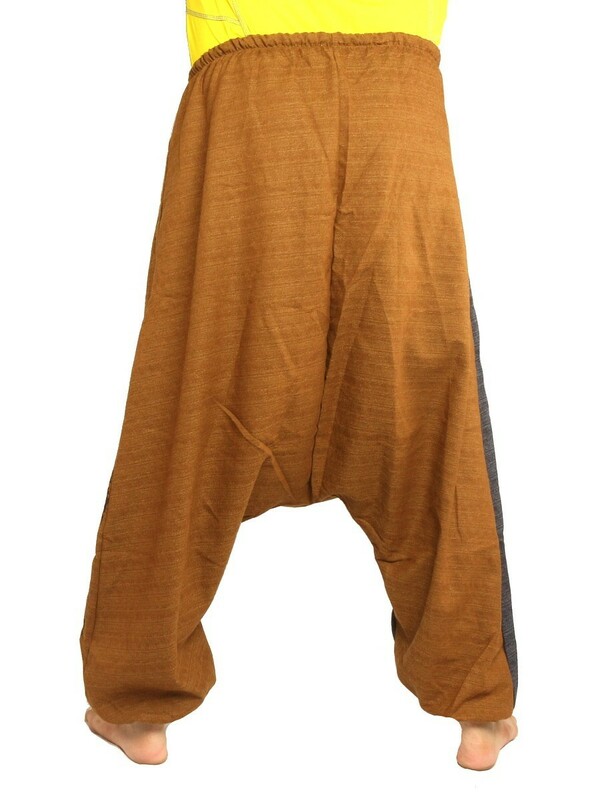 ✅ Harem baggy aladdin genie pants with elasticated drawcord waist and ankles. Durable swirl print on left leg. ✅ 100% best quality cotton-mix with one side pockets. Please read care instructions below in product description. ✅ Great for every occasion where loose fit is a must. One size fits many – please compare a pants you already own with the measurements given below. 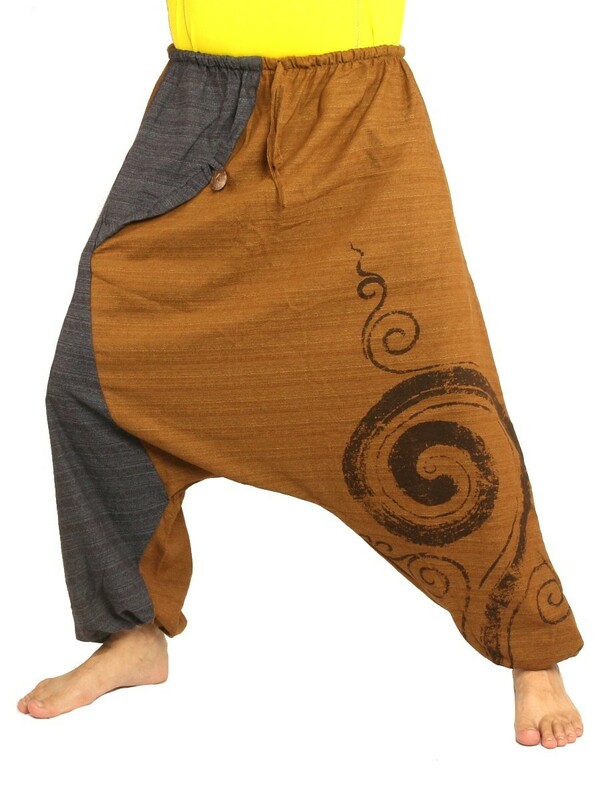 Made in Thailand with LoveHarem baggy aladdin pants drawcord string and elastic ankles for those who love freedom and the simple way of liveFor orientation: Model on picture is about 5 feet 11 tall but pants is suitabable smaller persons, too.Excellent for times when loose fit and comfortable is a must.Ideal as: ✅ casual pants✅ comfy summer pants✅ belly dance ✅ leisure wearYour perfect companion for✅ festivals and concerts✅ backpacking✅ beach bumming✅ loungingCare instructions:To set colors in clothes and mantain vibrant colors please wash the first time as cold as possible alone orwith other clothing that is of a very similar color.Add 1/4 of a cup of iodized salt to the washing machine on top of the clothing.We recommned using gentle cycle and if possible not to use a dryer but to hang dry.Attention:Slight color variations are possible due to different screen settings. 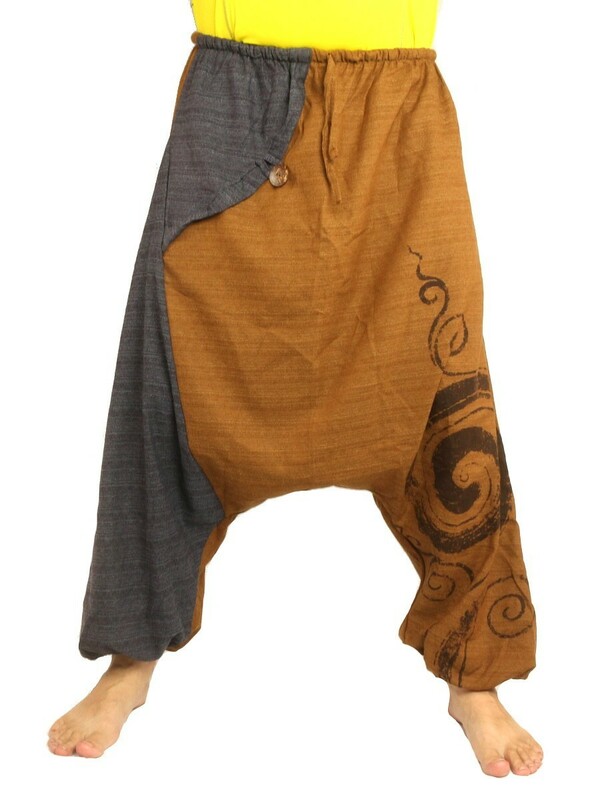 Maleewan's Harempants - your best choice for aladdin pants, harem pants, wrap pants, fisherman pants, genie pants, tye-dye and ethnic clothes made in thailand!